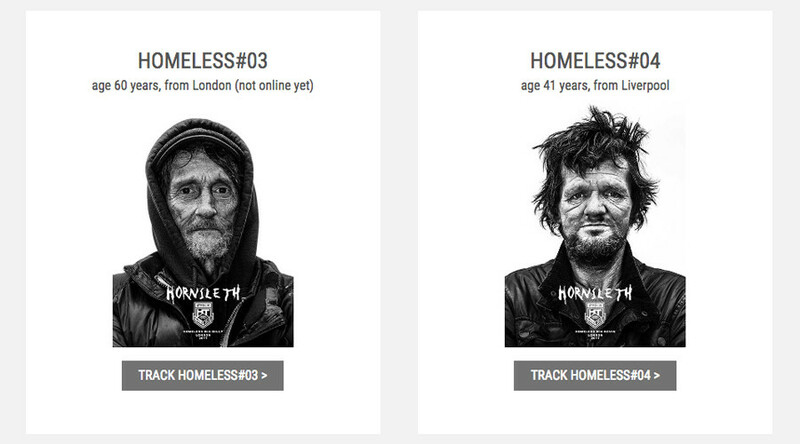 An artist has electronically-tagged homeless people in London, offering a chance to track their every move to buyers online. Kristian von Hornsleth told RT that he wanted to raise awareness with the project, while critics accuse him of abusing the vulnerable. The Danish avant-garde artist has so far put a device he calls the “Hornsleth Homeless Tracker” on 10 people he previously photographed. Promo videos for the project showed Hornsleth encouraging the participants to look “a little bit more poor… more homeless” during the photoshoot. The artist then put the homeless people “on sale,” asking for £24,989 ($32,700) for an opportunity to track every move of one of the participants during the course of a year. Framed portraits of the participants as well as T-shirts with their photos can also be purchased for £47.40 ($61) and £21.18 ($53), respectively. According to the artist, his “ethical boundary-smashing work” is aimed at shining a light on abject poverty in an age when anything can be bought and our lives are always on show. “I love the fact that the buyers are part of the project and it creates awareness; and turns the problem upside down and makes fun of it,” Hornsleth told RT. “They can sit in their Ferrari or whatever and they can look [at the app at] 03:00 AM and [say]: ‘Look, the guy is in the park and it’s November; it’s cold,” he added. “It worries me and it frightens me that in him (Hornsleth) chasing some sensational bit of headline that he’s using and… abusing vulnerable homeless to sell them as a product, as a commodity to some unknown person, enslave them,” he said. The deal, according to which the homeless get 50 percent of the sum submitted by the buyer, is also far from being fair, Pannas said. “In no way what he’s doing… is something ethical when you’ve got such an imbalance. 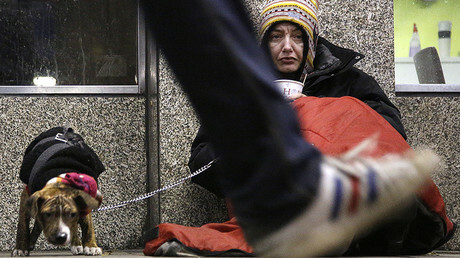 You see somebody who is vulnerable and needy, and somebody who has got a lot of money. If there was equality – fine. If you had £25,000 and I had £25,000 and I wanted to buy you for a year – we can strike a deal. But as soon as you got inequality, than it’s unethical,” he explained. It’s not the first controversial project masterminded by the Danish artist. In 2006, he made 100 poor villagers in Uganda legally change their name to ‘Hornsleth,’ offering them cattle in exchange.